A sleeveless dress crafted in extra-fine jersey. 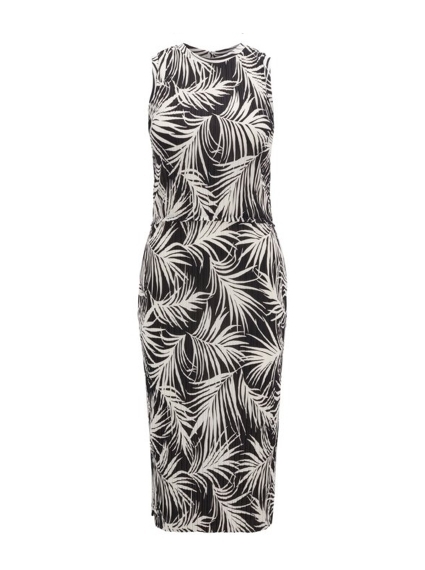 Featuring a summery all-over print that reflects the collection's palm-leaf pattern, this flattering piece is detailed with a subtle ruffle at the waist and irregular pleats that add texture and depth to the soft fabric. Wear it with heeled sandals or flats according to the occasion.